In this episode, Harold Reitman, M.D. 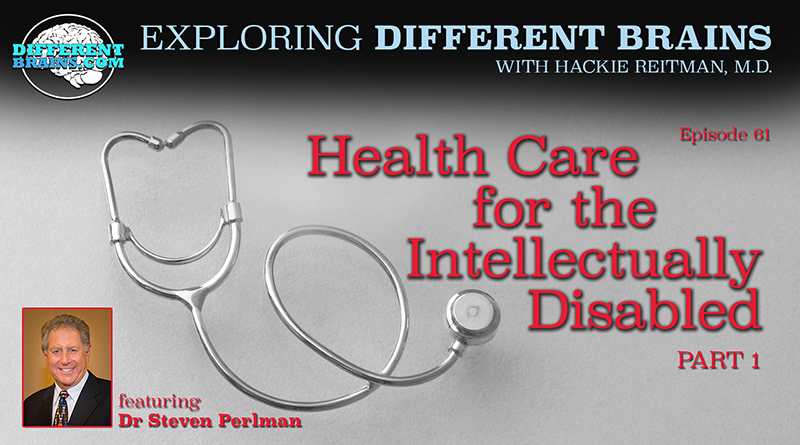 speaks with Dr. Steven Perlman in the first of a two-part interview. He is a Clinical professor of Pediatric Dentistry at The Boston University Goldman School of Dental Medicine, Co-founder and previous president of The American Academy of Developmental Medicine and Dentistry (AADMD), and was an integral part of bringing health care services to the Special Olympics- a move that has revolutionized how the medical system interacts with the developmentally disabled. Dr. Perlman discusses why studying pediatric dentistry allowed him to directly help the disabled, the disparity in health care services available for the neurodiverse, and tells the amazing story of how treating Rosemary Kennedy at the behest of Eunice Kennedy-Shriver led to the Special Olympics’ health care services being given to millions of people around the globe. 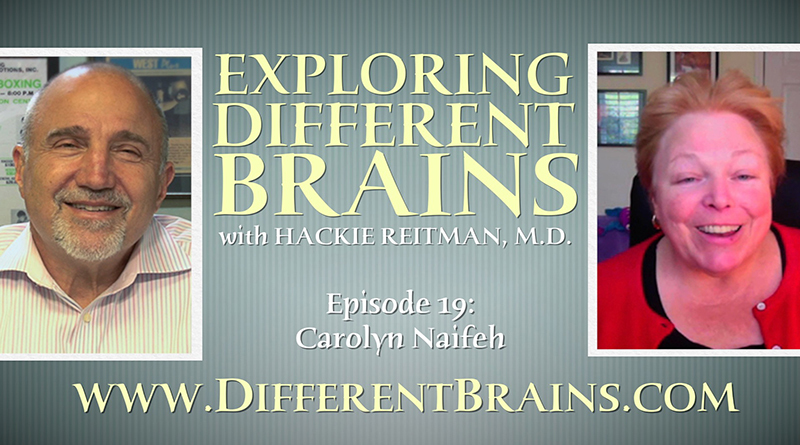 I’m Dr. Hackie Reitman, welcome to another episode of Exploring Different Brains, today is a big day for us because right here in our office live we have one of my heroes Dr. Steve Perlman. Not only a professor up at Boston University, that’s not the important stuff, the important stuff is that this dentist, has devoted his life, his life to taking care of those of us whose brains are different, those of us with special needs, he’s gonna deny it because he’s humble but he’s basically, one of the founders of the Special Olympics and he is indeed the founder of the AADMD, the American Academy of… he’ll tell you what all the initials are of dentists and doctors and things like that and he’s got a million other things. I could you know, while the camera focuses on him, let me just read you some of his qualifications. I love doing this. I’ve got three pages of this, I’m not going to bore you with them, clinical professor of pediatric dentistry at Boston University Goldman School of Dental Medicine, founder of the AADMD, special liason which is we are gonna find out how he really found it, the Special Olympics, which I was lucky enough because of Steve and Rick Rader to give a keynote with Tim Shriver back in 2015, at the ceremonies in LA at the Special Olympics. He talks the talk but he walks the walk, he practices he’s taken care of all of these people who are frankly is real difficult hard work, and he’s no spring chicken and his wife Harriet says he already retired but he’s not retiring and I’m gonna shut up now and say Steve! Steve Perlman welcome! Thank you Hackie, it’s great to be here and great to see you. Alright, tell us… let’s go back in time, you are a young man, you are a dentist, tell us how the Special Olympics were born, what really happened? Ok, you know the Special Olympics was really founded by Eunice Kennedy Shriver and back at the 50th anniversary next year, what I did was to bring in health into the Special Olympics. Well, one of the reasons why I went into pediatric dentistry as a specialty was because we were the ones that took care of people with disabilities in the dental world and in the health world and there was no transitioning for patients with special needs from pediatric s to adults, so we took care of the whole gamut. So, basically, early on in my career I’ve got involved in the national level in treating dental care and overall medical health care to improve the quality of life and the health of people with intellectual disabilities and I had some national roles and then my life really changed back in like 1963 when I got a call from Eunice Kennedy Shriver that her sister Rose Mary Kennedy, was having all these dental problems and they needed somebody to take care of her. Rose Mary was in her early sixties, when I got this call from Eunice Kennedy Shriver who founded the Special Olympics, created the Special Olympics and who really ran the Kennedy Foundation for the family. What it happened was that Rose Mary has been hidden from the public for many many years in Saint Colletas which is a catholic run school in Fort Atkinson, Wisconsin. And Rose Mary was supposedly getting the best health care than anybody could afford. If she had an orthopaedic problem they would send her to St Louis, if it was a kidney problem, it would be somewhere else and so for her dental problem, dental work, and the people that followed her, she was treated not by one dentist but by a team at a residency hospital program and although these people had been following and taking care of Rose Mary for years, they decided that it was best to treat her by edentulating her; which means taking out all of her remaining teeth. To do this, they needed the permission of the legal guardian, who was senator Ted Kennedy and Eunice Kennedy Shriver and when you know Shriver heard that they were going to take out all of his sister’s teeth, she was so horrified by this that she number one refused permission for them to do it and then out a search on for somebody to treat her and wond up calling me. Interesting that a pediatric specialist 2000 miles away would be called upon to treat an adult with an intellectual disability, but that was the landscape then, you know, that pediatric people are asked to treat adults with disabilities. So anyway, to make our story short, the family flew her to Massachusetts for me to do an oral rehabilitation and the general anesthesia. And it’s typical with patients with intellectual disabilities there were problems that needed to be addressed, so as a clinical person my first call was to Rose Mary’s personal physician in Wisconsin I said that I was gonna do an oral rehabilitation and a general anesthesia, was there any other health issues that needed to be addressed? And her primary care physician said “wow thank you so much” and he gave me a list of medical procedures that we should do to help him continue for better medical care for Rose Mary. So during the dental admission we did other extensive medical treatment for her tests that they were not able to do unless she was given the general anesthesia, but that’s typical with the disjoining of healthcare Hackie, as you know, of people with intellectual disabilities, they are present with behavioral issues that don’t mend themselves with normal to treatment in the office. 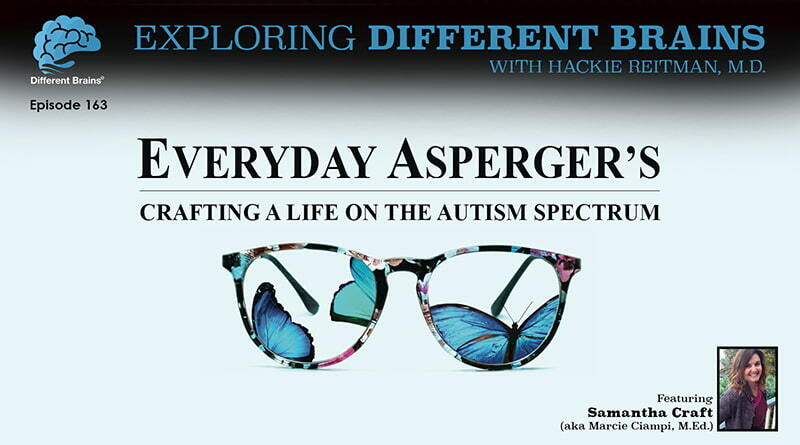 Now we fast forward to 2015, I’m out there at your AADMD event, as part of the Special Olympics in LA, I’m giving a keynote, Tim Shriver’s giving a keynote, Ann Costello of the great… let’s say the name of that foundation? They do great things, and we go on a tour led by Steve, of the medical tents they set up at UC. And that was my epiphany there, then it all made sense. We went on this tour, hundreds of medical tents set up. I was with kids from a 100 different nations, I was comparing my hearing aids to theirs, kids who couldn’t hear got their first hearing test and on the spot, can you imagine the logistics of this? They got feed with hearing aids before they went back to their underdeveloped country. I saw kids get their first eye glasses. Every miracle one after the other, after the other, not following around. Steve Perlman whose like a commanding general, and everybody walking around there and everybody’s coming up and hugging him and everything and when we finally got back a few hours later I said, I said to Tim Shriver, I said: “I finally figured out what the Special Olympics really is” he says: “what Hackie?” I said “Is a front” “what do you mean?” “Is a front for delivering excellent health care to a 100 different countries. Then Steve goes over on clinics over there, they go all around the world. The AADMD an affiliated organization is a great meeting place where all comes together the way it’s supposed to be, the way it’s supposed to be; where in his world, society does embrace his society, which is a limited society, of very special doctors and dentists where they embrace neurodiversity, they recognize the problem, they recognize it’s a whole life span, it’s not just cute kids, because the kids turn into adults and then you have all the transitions that go on. And was has been your biggest challenge along this whole journey? Well I’ll take you through because won’t fit together for you to see how it works, so after the success, so I treated Rose Mary in Boston, they flew her to me and we did the oral rehabilitation and the general anesthesia, and when I called Ms. Shriver to tell her her sister was fine, and incidentally we didn’t do one extraction, I restored every tooth that she had and for the 13 or 14 years that she lived after she never have another dental problem at all, so we didn’t do any extractions at all, which just shows, this goes to show you and that this wasn’t the decision of only one dentist that he would (—), this was a decision of an entire team and the general practice residency. But it just shows the lack of respect, the lack of dignity, the lack of care for people with intellectual disabilities, so anyway, when I called Ms. Shriver to tell her that her sister was fine, the operation was success and we did the other medical procedures as well, she said to me that I’ve got to meet you and thank you for taking care of my sister but more important to teach me about dental care for people with intellectual disabilities. So the way the Kennedy family works in two weeks, I was sitting at an amazing meeting with Eunice Kennedy Shriver, her husband Sergeant Shriver who was one of my true heroes in American history, you know, the founder of the Peace Corps, the founder of , ambassador of France, vice-presidential candidate, every amazing civil job that could be held. In that room there was Dr. Robert Cook, who we credit with founding the field of developmental medicine. Robert Cook was the first developmental pediatric ian in the country, he was a parent of two children with cri-du-Chat syndrome and he was the chief of pediatric s at Johns Hopkins University at the time. Ms. Shriver allowed me 2 hours to talk about dental care for people with intellectual disabilities, but I came not to talk about that, I came to talk about medical care overall healthcare for people with intellectual disabilities and the great disparities that exists and Ms. Shriver said to me, “I don’t understand this, what are you talking about?” I said, “of all the injustices, of all the problems of people with intellectual disabilities, health care is the number one problem”. And she said, “I don’t believe that!” she said “I’ve devoted my life to improving the quality of life of people with intellectual disabilities and I’m the most famous person in the country in this whole issue”. She said: I thought that in order for people with intellectual disabilities to succeed in this world the number one education was paramount, that they had to be educated to the highest level of education in what they are able to do, second, what are they gonna do when they get older? job opportunities, what are they gonna be / do to become productive citizens? and the third, was housing, safe housing is what I cared about because as in those years, we were closing down all of our institutions, you know, in president Kennedy’s administration, he passed the famous legislation that everybody was allowed to live, everybody should live in the community to have the highest standard of living that they can have so that led to the effective de-institutionalisation of people with disabilities in the United States. The problem was that this process was taking place without community support so people were released from the institutions where they were safe into a community where there was no health care available to them and we can get into the reasons why there is no access to health care but anyway, Ms. Shriver said to me, “I never thought about their health, I thought that their health care was at least as good or better than the neuro typical people”, and I basically said “I don’t know what rock you are living under, but it’s not true” and the problem was that she was a very difficult woman to deal with, she was… you know she was head strong and thought what she was gonna think and kind of bullied everybody into thinking with her. So, Robert Cook, Dr. Cook agreed with me and supported me in this thinking. So Ms.Shriver looked at me and said “well, what are you gonna do about it?” and I said well what do you mean what am I gonna do about it? well I teach, I have a private practice, I have a family that needs a lot of my attention and she looked at me and said “I want you to help me bring health to people with intellectual disabilities all over the world” and I said “well, you know, that’s a big job”. So I said to her, somebody told me if you wanted anything from Eunice Kennedy Shriver that attach it to the Special Olympics because that was her passion, so I said to her can I use Special Olympics as the soap box as the bully pulpit for this cause and for the first time in the history of Special Olympic movement she allowed me someone to go off mission, because the mission of Special Olympics is sports, fitness and self esteem, for people with intellectual disabilities. For the first time she was letting someone go into health care and this was a dramatic change for the whole Special Olympic movement. And so I created a program called the Healthy Athletes Program, I went back to my dean at Boston university and I said to him, we’ve got an opportunity to work with the Special Olympics, can we do it? He gave me the resources of the university and on a weekend in June in 1984, we had an event where we did a dental screening on all the Special Olympic athletes participating in a sporting event. We screened 750 athletes but more important we accessed them into the health care system, for those that didn’t have a provider that was willing to treat them we accessed them and gave them a provider that would take care of them. The feedback to Ms. Shriver was amazing, so she said, “let’s spread it”, so the next year I went to a dozen cities and had a similar event, all university based because my thinking was: if I’m going to change the attitude of health care providers is not going to be the 40 and 50 years old in the community, it’s going to be the students, so I created a student program, with faculty and students who would both screened the athletes, and then we went to vision, and then we went to hearing, and now currently, and now the Healthy Athletes of Special Olympics is the largest public health program in the world for people with intellectual disabilities. We reached 170 countries, we are engaging, we have a budget this year of over ten and a half million dollars, we have these healthy athletes all over the world, but now the important history comes in Hackie. We had this program and we were gaining traction and we were the only people out there that they were calling for improved health care, for people with intellectual disabilities. So what did we need to do? the first thing we needed to do was to document it, so we went to Yale university which had, we thought the best public health program in the world and we hired Yale university to do the first ever report, the health status of people with mental retardation, which was the term we used in those years. So, the Yale report, the famous Yale report came out and it should have been volumes. The Yale report was only this big and it basically showed us that we know nothing about the health care for people with intellectual disabilities. We took that document- and only the Kennedy-Shrivers could have done this- we took that document and went to the United States senate, and in 2001 at the Special Olympics World Winter games in Anchorage, Alaska we actually had the first ever senate hearing on health disparities for people with intellectual disabilities. I had to pinch myself that I was there, it was a full senate hearing chaired by senator Ted Stevens of the House Weighs and Means committee and everybody in Washington who was the who’s who in intellectual disability had to be there for maternal and child care to the commissionaire of the United States to people with intellectual disabilities but the most important person who was there was Sergeant General David Sacher who was indicted by senator Stevens for allowing these health disparities to exist. You know at this time and until today, it hasn’t changed, the average life span of a white American with down syndrome is 55, the average life span of a African American with down syndrome is 26. That’s a horrible health disparity, so forget racial disparities, it’s the disparity of people with intellectual disabilities. So at this historic, historic senate hearing, Sergeant General Sacher agreed to have the first ever Sergeant General Conference on health disparities for people with intellectual disabilities, it was held in Washington DC six months after our Special Olympic event and it was 300 people that were there and it was the who’s who in health care in the United States. And I was sitting next to Ms. Shriver and I can’t describe the feeling I got when General Sacher said: “we would not be here today having this historic conference if it wasn’t for the work of Special Olympics and Eunice Kennedy Shriver” and he presented Ms. Shriver with the highest medal that the highest general could give. But after that conference I started to get calls from physicians all over the country: I’m a neurologist in new Jersey in a huge group, I’m an expert in seizure disorders I wanna work with you, I’m an anesthesiologist in Arkansas and I’m an expert in craneo-facial deformities I wanna work with you, I’m an orthopaedic surgeon in Florida, I wanna work with you, I’m an expert in I’m an expert in treating kids with intellectual disabilities and so in Chattanooga, Tennessee at a meeting of the Southern Association of Institutional Dentists, this guy named Rick Rader invited us over to his house, and a dozen of us decided that we need an organization of health care providers who are the world’s experts on treating people with intellectual disabilities and that was the birth of the American Academy of Developmental Medicine and Dentistry and we are so honored now to have you as a spokesperson for us and as part of our team. So then I saw the need that Special Olympics yes we had seven disciplines, seven great disciplines, but we didn’t have geneticisits, we didn’t have mitochondrial experts, we didn’t have medical ethics people, we didn’t have… you know medicine is 80% specialty right? so we needed all these different people, so my job now is going out of the box to meet people like you who have so much to give and offer and bring you in to our team to build the best health program and improve the quality of overall health for people with intellectual disabilities. You are welcome, my pleasure thank you. In this episode, Harold Reitman, M.D. 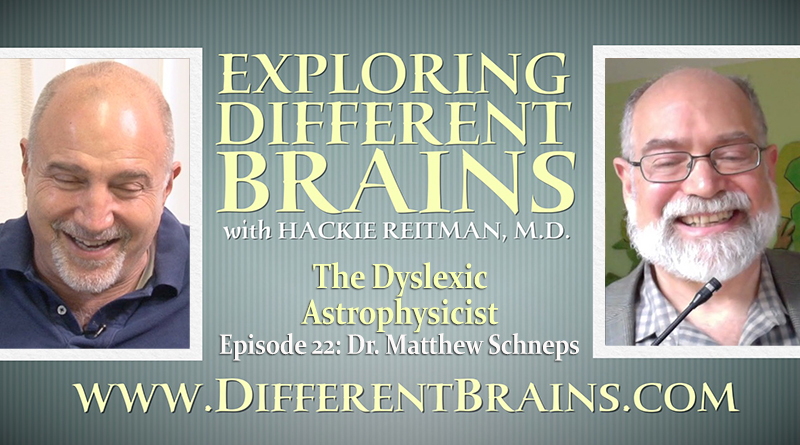 speaks with Dr. Matthew Schneps, who feels dyslexia helped him become an astrophysicist.